Rising focus on the impact of various marketing activities is the major driver driving market growth. 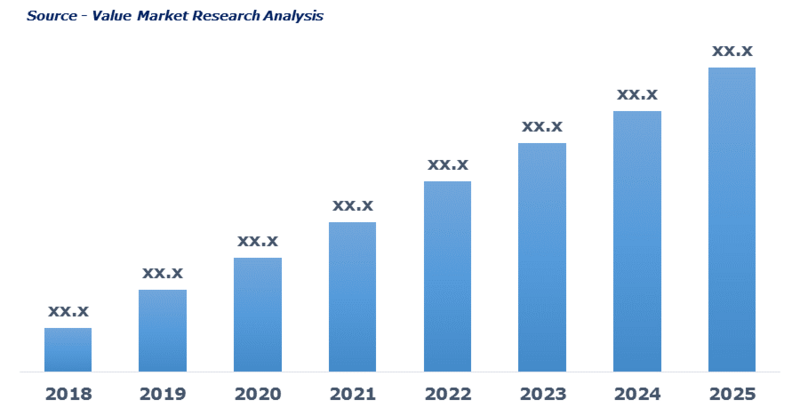 Growing adoption of innovative marketing activities coupled with increasing investment in neuromarketing to maximize the profitability is fueling the market growth. Rising adoption of neuromarketing in media & marketing, advertising, retail, telecommunication is further boosting market growth. Cutthroat competition leading to an increase in a marketing campaign for sustainability is further pushing the adoption of neuroscience for marketing purpose. The latest report by Value Market Research expects the Global Neuromarketing Technology Market to reach USD 770 billion by 2025. It was valued USD 337.5 million in 2018. The report foresees a 12.5% CAGR from 2019 to 2025. By technology, the Functional Magnetic Resonance Imaging system (fMRI) emerged as the leading segment in 2108. The growing popularity of fMRI system owing to its excellent ability to image deep brain structures, especially those involved in emotional responses to offer more accurate results, is driving the segment growth. Rising adoption in retail, media & marketing, telecommunication and other end-use industries is further fueling the market growth. In 2018, North America dominated the market by accounting the maximum market share. The rise in spending on neuronal research coupled with the strong presence of prominent players are driving the regional market growth. Technologically advanced infrastructure along with rapid adoption of the technology is again boosting the market growth. Prominent players of the market are Behavior and Brain Lab, Cadwell Industries Inc., Compumedics Limited, Css/Data intelligence, Merchant Mechanics, Neural Sense, Neurospire Inc., Nviso, Olson Zaltman Associates, Sensomotoric Instruments GMBH, Sr Labs, SR Research, Synetiq Ltd and The Neilsen Company LLC. As per this study the Global Neuromarketing Technology Market was valued USD 337.5 MN (by revenue) in 2018 and is anticipated to reach USD 770 MN by 2025 with a CAGR of 12.5%. Neuromarketing refers to the study of neuroscience and market research. It is a field of study on the brain’s responsiveness to advertisement and branding activities. Neuromarketing provides data regarding human preferences and emotional responsiveness for various products and advertisement. It includes technologies such as function MRI or fMRI, EEG, MEG, etc. to measure the brain’s activity in response to marketing activity. Growing adoption of technology across telecommunication, media and retail sector to measure the effect of advertising is driving the market growth. Increasing spending by the key players on the technology to monitor and measure impact of campaigns, advertisement and branding is boosting the market growth. However, the high cost of the technology may hamper the market growth. Nevertheless, ongoing advancement to reduce the cost of the technology may push the market demand in the forecasting period. This detailed market study is centered on the data obtained from multiple sources and is analyzed using numerous tools including porter’s five forces analysis, market attractiveness analysis and value chain analysis. These tools are employed to gain insights of the potential value of the market facilitating the business strategists with the latest growth opportunities. Additionally, these tools also provide a detailed analysis of each application/product segment in the global market of neuromarketing technology. The broad neuromarketing technology market has been sub-grouped into technology. The report studies these subsets with respect to the geographical segmentation. The strategists can gain a detailed insight and devise appropriate strategies to target specific market. This detail will lead to a focused approach leading to identification of better opportunities. Furthermore, the report comprises of the geographical segmentation, which mainly focuses on current and forecast demand for neuromarketing technology in North America, Europe, Asia Pacific, Latin America, and Middle East & Africa. The report further focuses on demand for individual application segments in all the regions. The report also covers detailed competitive landscape including company profiles of key players operating in the global market. The key players in the neuromarketing technology market include Behavior and Brain Lab, Cadwell Industries Inc., Compumedics Limited, Css/Data intelligence, Merchant Mechanics, Neural Sense, Neurospire Inc., Nviso, Olson Zaltman Associates, Sensomotoric Instruments GMBH, Sr Labs, SR Research, Synetiq Ltd and The Neilsen Company LLC. An in-depth view of the competitive outlook includes future capacities, key mergers & acquisitions, financial overview, partnerships, collaborations, new product launches, new product developments and other developments with information in terms of H.Q.